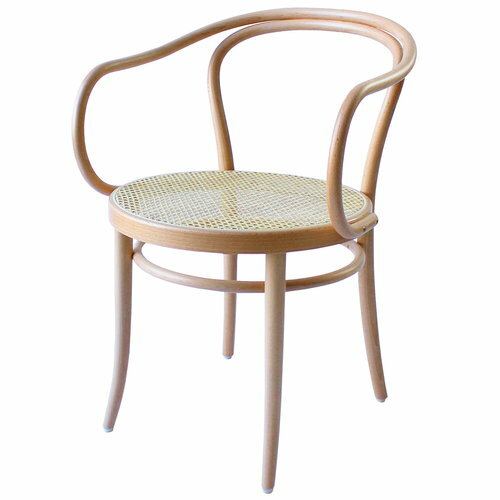 TON Armchair 30 shares a similar character with the iconic Chair 14: its softly curved frame and armrests have been crafted from beechwood rods that have been bent by hand. The attractive armchair can be used as a dining chair or individual side chair, and its flowing shape goes perfectly together with the Chair 14. 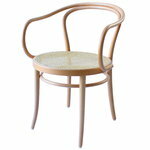 Armchair 30 has been manufactured at the TON furniture factory in the Czech Republic by traditional methods. Armrest height 70 cm. Comes with felt glides. Wide with a damp cloth.